Mirajane just transformed into her strongest demon form and she's ready to have some fun against Heine and Juliet of the Irene Squad. New season, new opening credit sequence, new song. Also, Sorano and Yukino are going to have a sisterly reunion at some point. 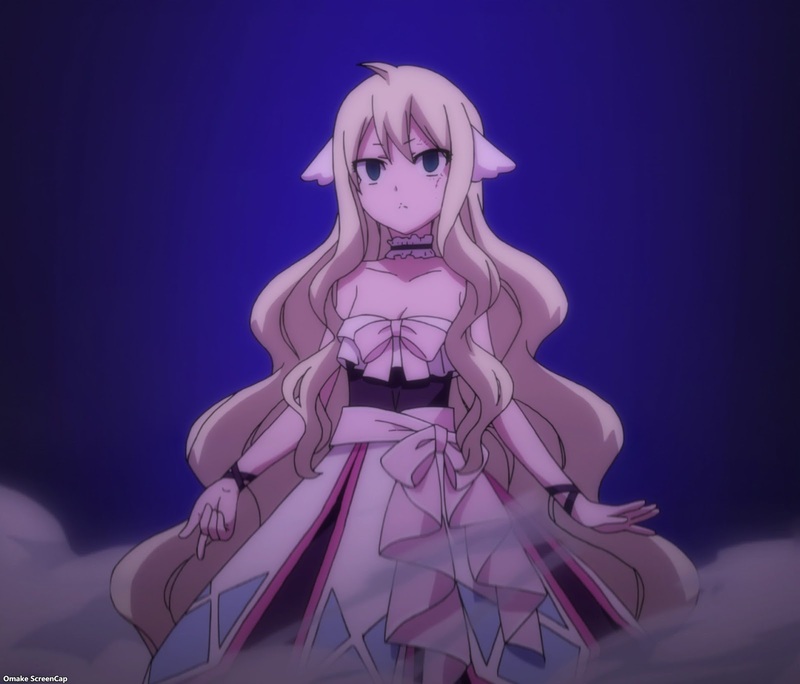 Mavis in her real body just walked out of the Fairy Heart crystal. She obviously needs a new dress, even if this one is just illusion magic. Irene's mapping magic transported her to the Fiore throne room. She got comfortable. But then, after taking care of the king's guards, she noticed a familiar magical presence. The biggest development from Irene's magic was first - snagging Gajeel away from death's door and two - moving Tenroujima Island close to the mainland, resurrecting Zera when Mavis woke up. 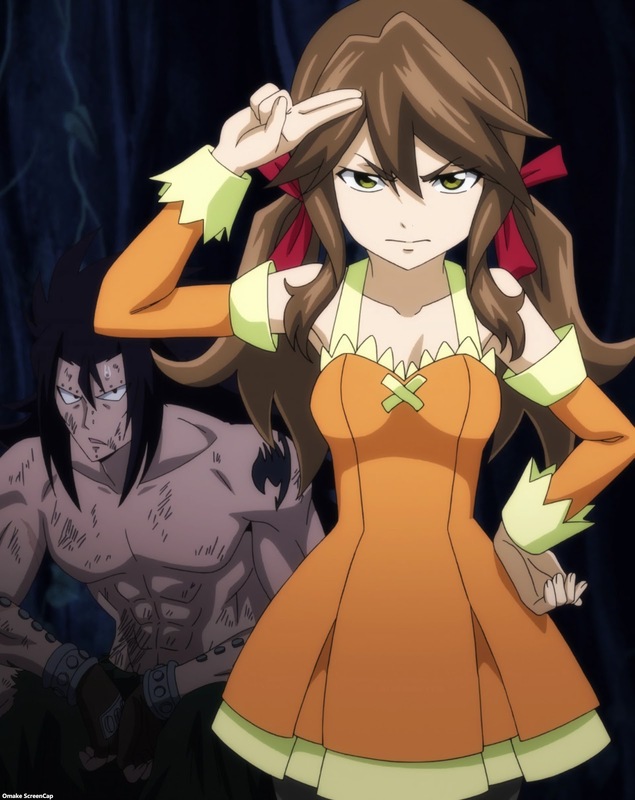 She and Gajeel communicated with the guild members where Mavis was, which also let Levy know that her love was alive. The feels train is getting ready to board! 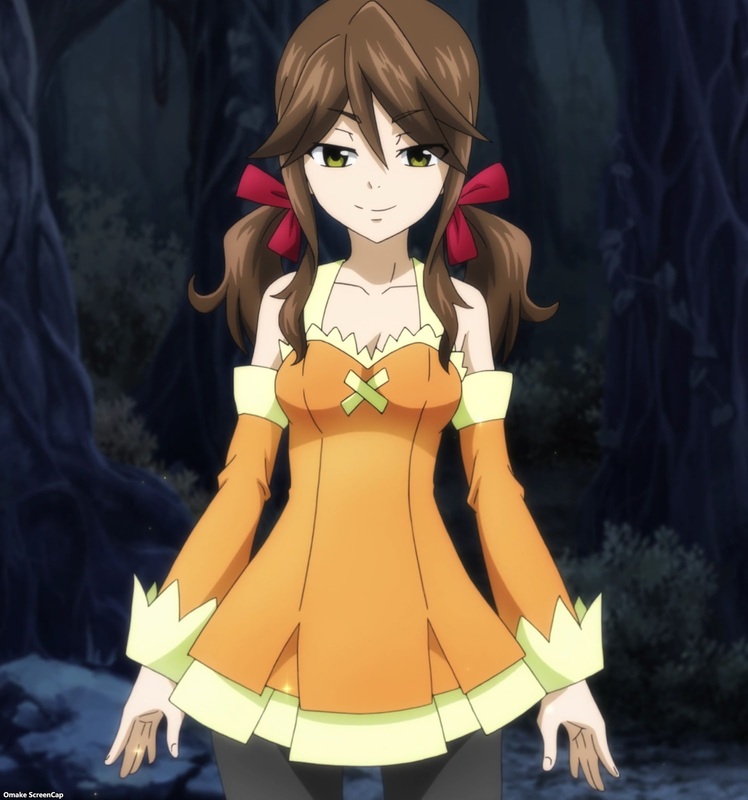 Yukino encountered Sorano in the forest as she walked along with Elfman and the Sabertooth cats, Frosch and Lector. 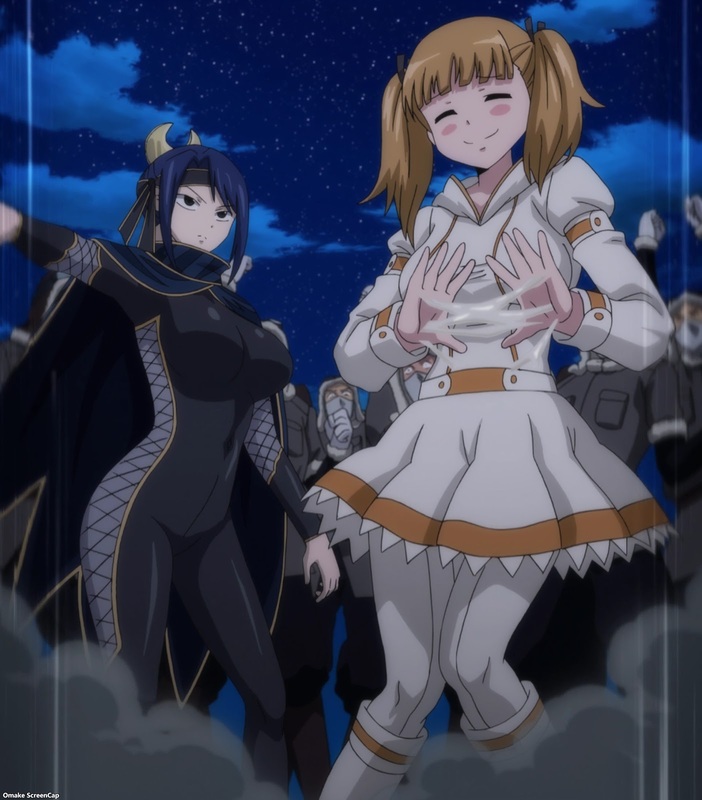 Yukino and Sorano called each other by very familiar terms, which made the cats and Elfman realize they were actually sisters. 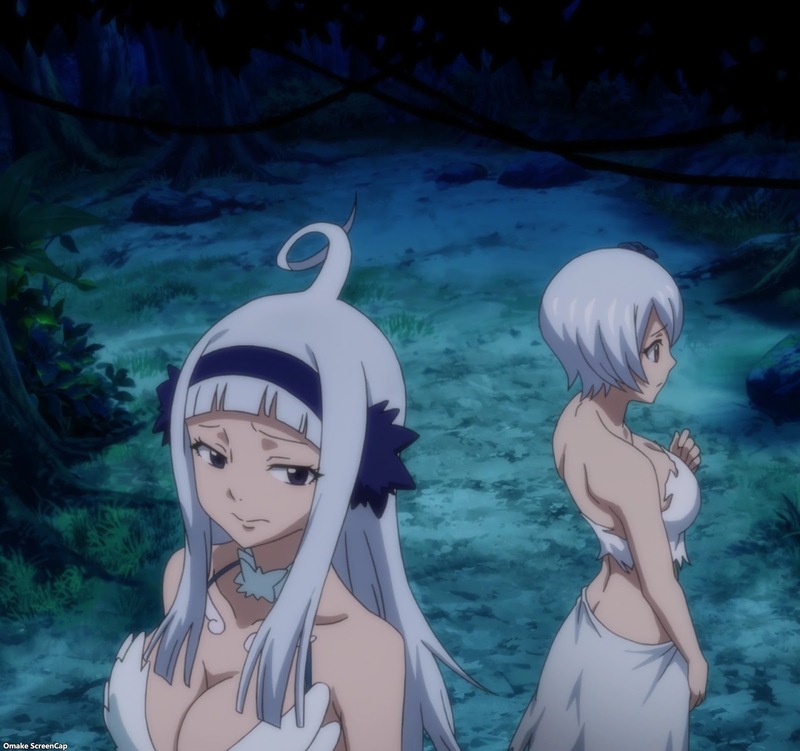 Meanwhile, Mirajane stayed behind to take care of Heine and Juliet as the rest of the Fairy Tail guild rushed off to Mavis' location. 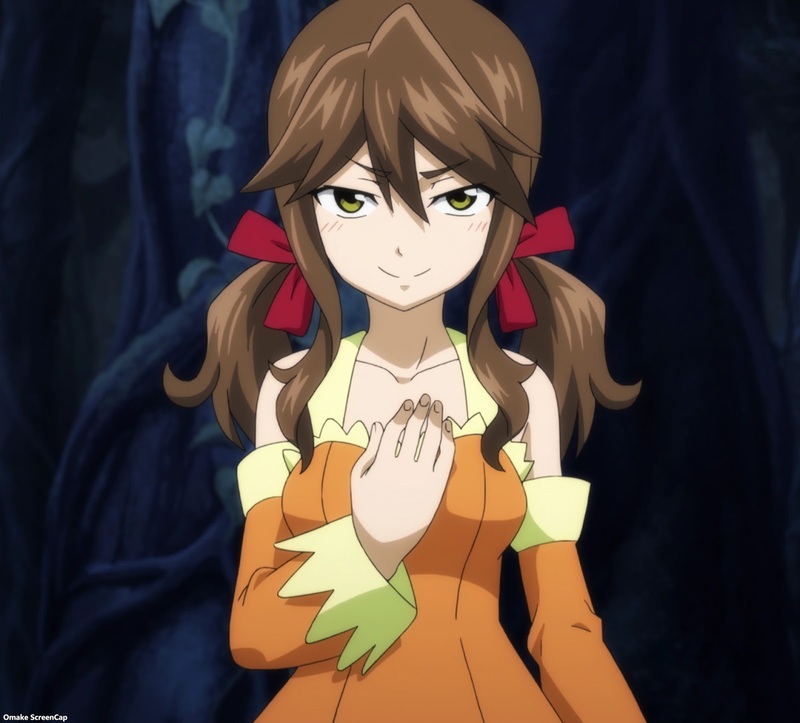 After transforming into Satan Soul Alegria, she beat Irene's squad so badly, their enchantment magic wore off. It turned out they were only swords enchanted with human personalities. 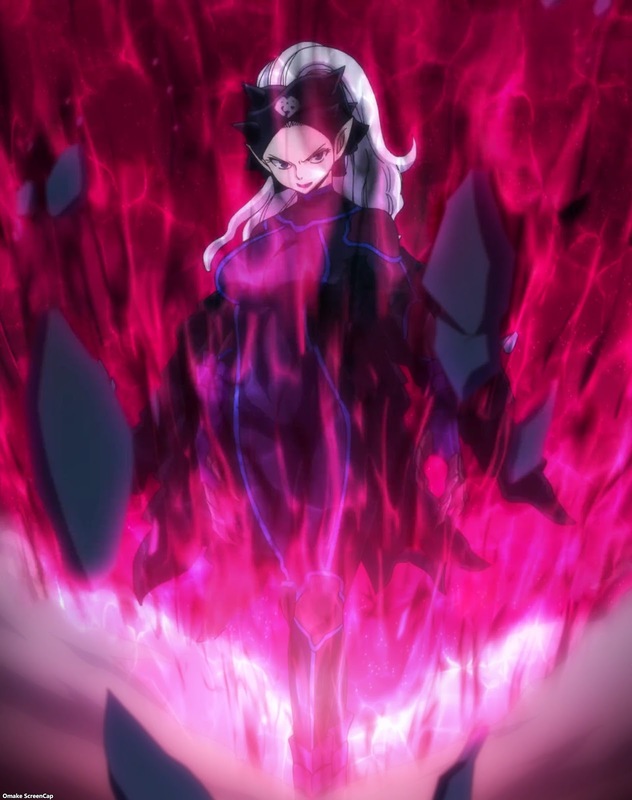 Mirajane is about to see firsthand how powerful an enchantress Irene can be.